Reaction to the White House report on civilian casualties in drones was mixed in Pakistan, the country that has suffered the highest number of strikes and casualties outside active conflict zones. Pakistan’s foreign office issued a press release reiterating its calls for “an immediate cessation of drone strikes that violate the territorial integrity and sovereignty of [S]tates.” Pakistan’s government routinely denounces the strikes which are deeply unpopular among the public, but authorities are believed to privately consent to the operations targeting militants in the country’s tribal regions. The U.S. report said between 64 to 116 civilians had been killed in strikes outside active combat zones from 2009 to 2015. It said the strikes killed between 2372 to 2581 combatants. 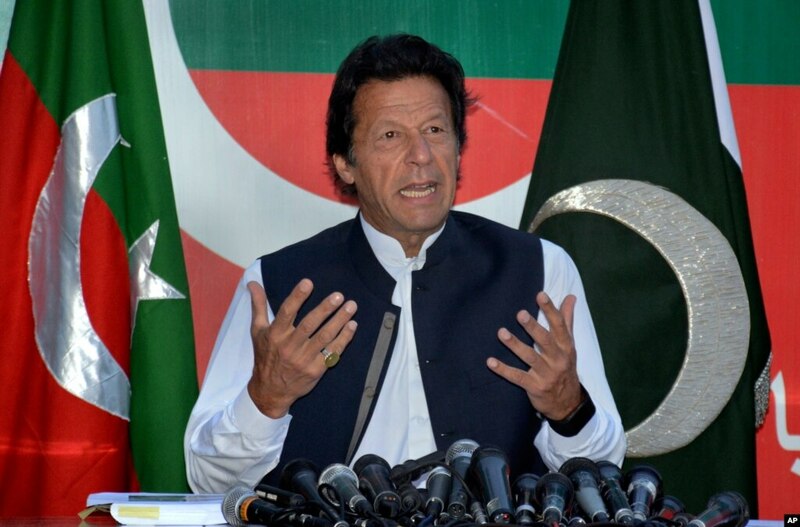 FILE – Pakistan’s opposition leader Imran Khan speaks during a press conference in Islamabad, Pakistan, April 10, 2016. He said local officials from Pakistan’s northern tribal areas, the scene of most of the U.S. drone attacks, had reported numbers which were quite the opposite, something like 2000 civilians versus only 100 militants. At the same time, she added, the reality was that most of those who died in these strikes were militants. Yousuf said that compared to aerial bombing, which results in much higher civilian casualties, the civilian deaths from drones were much lower. On the other end of the political spectrum, Abdul Ghaffar Aziz, the director for foreign affairs in Pakistan’s religio-political party Jamaat e Islami, called the U.S. report “useless,” adding that such reports had no credibility. The report says more than 2500 other targets were terrorists, but he asked who decided they were terrorists and that it was okay to kill them? “Which world court gave them the right to go and kill in another country, without even taking the other government in confidence?” he questioned. Afrasiab Khattak, a senior leader in Awami National Party, a Pashtun nationalist party that touts secularist credentials, called it a complicated issue. Drone strikes were a much bigger issue in Pakistan a couple of years ago when they were occurring much more frequently. Over the last five years there have been far fewer, from 128 in 2010 to 13 last year and only three this year, according to data collected by the Bureau of Investigative Journalism. Political analyst Hasan Askari Rizvi said that despite complaints from human rights groups, the U.S. was likely to continue its drone program because it was an effective counter terrorism strategy. On one hand it reduced the number of U.S. casualties while on the other it kept the militants on their toes and unable to operate freely, even in their supposed safe havens.